T.I. and Busta Rhymes are among the many folks who believe the conspiracy that the CIA assassinated Bob Marley. For years there have been conspiracies claiming that The CIA is behind the untimely death of reggae legend Bob Marley. The King of Reggae died on May 11, 1981, at the University of Miami Hospital in Florida. His cause of death has been listed as cancer, but a large segment of his fans strongly believed that something more sinister is behind his passing. Atlanta rapper T.I. recently shared a post on Instagram that helps revives the conspiracy surrounding the death of Bob Marley. The article that TIP shared has been in circulation for several years, with claims that a former CIA name Bill Oxley made the confession on his deathbed that Bob Marley was among 17 other influential individuals who were assassinated by the CIA. “I’m just gon leave this here.” T.I. wrote. 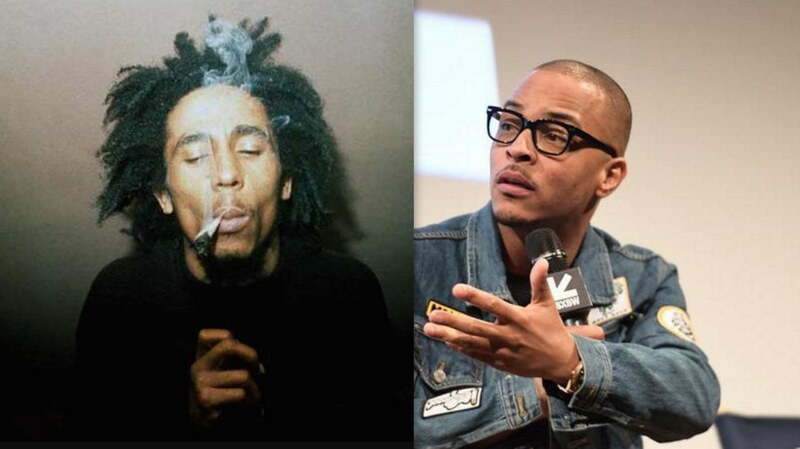 A few years before his death, an assassination attempt was made on Bob Marley and Peter Tosh. That segment of his life was profiled in Netflix new documentary series ReMastered. The documentary also revealed that the CIA was keeping tabs on Bob Marley, as well as, several other well-known musicians of that era. Bob Marley remained one of the most influential musicians of all time and was even named the artist of the century. Here is the posts made by T.I. and Busta Rhymes.